Shortly after I was introduced to Benedictine spirituality in 2012, I found Joan Chittister. The title to this book was intriguing to me since I’ve been walking the recovery road for a while. In The Twelve Steps to Inner Freedom: Humility Revisited Joan does a remarkable job breaking down Saint Benedict’s 12 steps of Humility into easily applied life principles. I’ve read this book twice and use it regularly as a resource. I also enjoy Joan’s blog and other books which you can find here: joanchittister.org. Sr. Joan’s writing is beautifully descriptive. She is one of my favorite authors today. I highly recommend everything by Joan Chittister! How to Be a Monastic and Not Leave Your Day Job is a great place to start if you are considering the life of an Oblate. This was the first book on the monastic lifestyle that I read two years ago. At 119 pages with short flowing chapters it’s a easy introductory read. Br. Tvedten does an excellent job giving us historical background to Benedictine spirituality, the values for daily living and what it actually means to become an Oblate. He includes a wonderful list of Benedictine titles many of which I have read and will be reviewing here in the future. I highly recommend How to Be a Monastic and Not Leave Your Day Job: An Invitation to Oblate Life by Brother Benet Tvedten. It was after reading this book that I knew without a doubt the Benedictine spiritual path was where I belonged. Only recently introduced to Richard Rohr’s writing, I was pleasantly surprised to read concepts often represented by Eastern religions or New Age philosophies shown in our Christian traditions. In The Naked Now Fr. Rohr literally teaches a new way to see. He helps us move from the all or nothing; either / or thinking, to more inclusive both / and views. An excellent book to help bridge the gaps we see so much in our culture today. I love that he isn’t afraid to quote other religious teachers: Zen Masters and The Dali Lama for instance. One point he made that I have seen in my own life is that many Christian denominations focus so much on doctrine but don’t give us the vision or practices that can help us actually experience the truths. Most awesome is the appendixes that teach us how to practice The Naked Now! What a fresh word! I’m ready to read this book again! 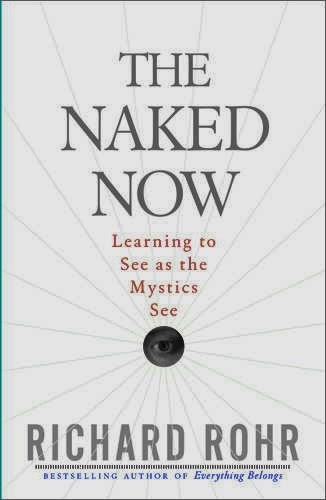 If you can’t see the screen below CLICK HERE for a introduction to The Naked Now by Richard Rohr. One of my new favorite people is Esther de Waal. In my opinion Esther is responsible for the global growth of the Oblate movement for the last 30 years. 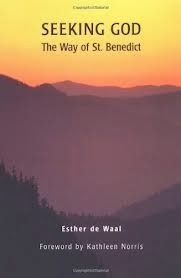 Her book Seeking God: The Way of Saint Benedict brings St Benedict’s Rule to life for those trying to live monastic principles in our ordinary lives outside monastery walls. Ms. de Wall breaks down the Rule, written by a celibate man to other celibate men over 1500 years ago, into ways that can be applied to every life. Along with the beautifully translated Rule, each chapter is punctuated with sweet prayers and quotations perfect for a devotional or meditation time. I learned many things in this wonderful book. But the most important is something I use every day; a principle that is tied to our daily work, whatever it may be. After reading this I put a daily ritual in place to help me keep this forefront in my mind. I start each morning by lighting a candle at my kitchen altar where I have placed a reminder card of this principle. Prayerfully, I dedicate my hands and work to God. Reminding myself that every implement of my work is a sacred vessel on the altar of my transformation. This immediately puts my heart attitude in check with the Holy Spirit. You may not be interested in becoming an Oblate. But if you are pursuing spiritual growth, I highly recommend you read Seeking God: The Way of St. Benedict. Esther’s words have been so inspirational to me. This is a book I will read again and again! Thomas Merton (1915-1968) was an incredible spiritual thinker of the 20th Century. Though he lived a mostly solitary life as a Trappist monk, he had an amazing impact on the world through is writing. He was an out spoken anti-war and civil rights proponent and was reprimanded for his social criticisms. He was unique among Christian leaders in that he embraced Eastern mysticism and sought to bridge the gap between the East and the West. Over the last several years I’ve run across Thomas Merton’s name in many books. Having read several by now, I am quite taken by his way of teaching, his convictions and his sweet poetic writing style. 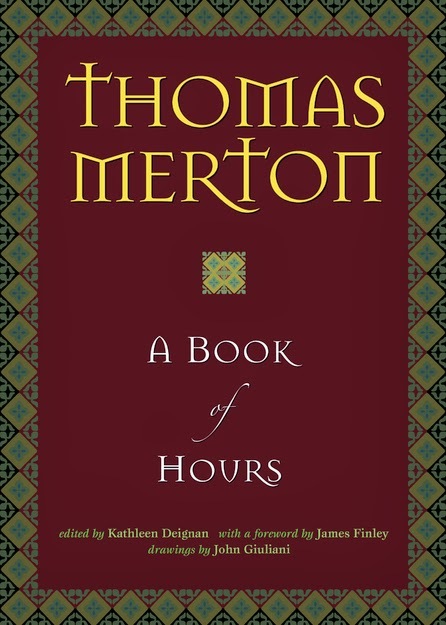 A Book of Hours wasn’t written personally by Thomas Merton, it is a recent compilation from his books sweetly edited by Kathleen Deignan and beautifully illustrated by John Giuliani. Designed as a daily prayer book, A Book of Hours has various selections from Merton’s poems and other writings divided up as hymns and prayers which are to be read each day of the week at Dawn, Day, Dusk and at Dark. It has been the a tradition of the Christian church since ancient times to pray throughout the day. In this way the church fulfills the Lord’s precept to pray without ceasing. As I have embraced monastic spirituality, praying the Liturgy of the Hours has been a wonderful way to keep me spiritually focused through the day. It helps me specifically in my recovery walk to stay on track. I highly recommend The Book of Hours by Thomas Merton. 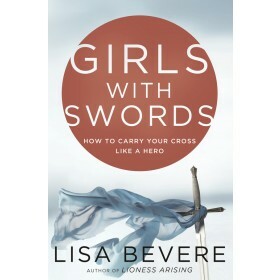 Beautifully bound, it is a great gift for yourself or a friend. It is one of the sweetest prayer books I own. I will treasure it for many years to come. Earlier this year I reviewed Brene’ Brown’s book Daring Greatly in which I first learned of Stuart Brown and the National Institute for Play. Having my own challenges with finding play time I decided that PLAY was an important book for me to read. In PLAY, Dr. Brown takes us to all sides of play, from the animal kingdom through the human lifecycle, play time in infancy to school yard rough and tumble, through adolescence on into adulthood. We learn through Dr. Brown’s research the incredible importance play is to the prevention of violence in our world and spawning innovation in the marketplace.Most interesting to me was to learn that the opposite of play is not work, but depression. Which makes total sense if you think about it. When you read PLAY you will discover your play personality, how to take your own play history and hopefully learn how to be free to play more. I found this book quite interesting. It’s a little heavy on the research for my personal taste, but all in all I recommend PLAY by Dr. Stuart Brown. If you can’t see the video screen below CLICK HERE for Dr. Stuart Brown’s fascinating TED talk. 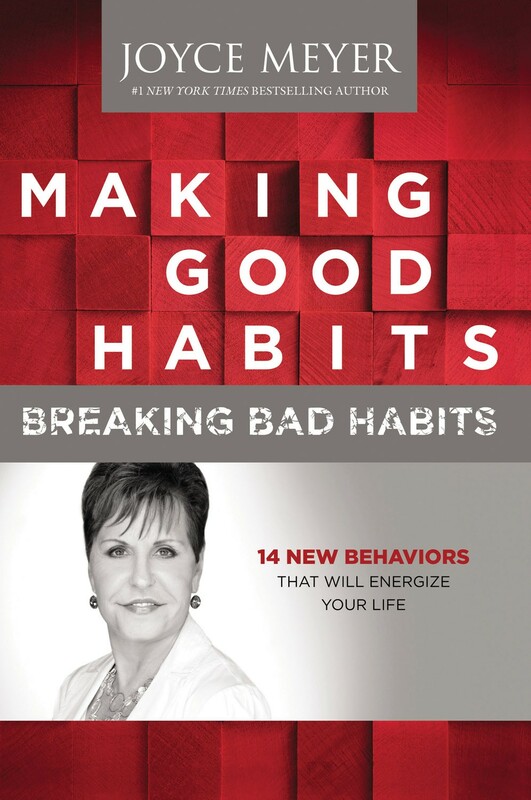 Making Good Habits Breaking Bad Habits is up there with Joyce’s best and most practical books. I love the way Joyce writes. She sweetly imparts her wisdom from personal experience of dealing with consequences of her own bad habits that ultimately motivated her to create healthier habits. Joyce takes us through a series of behaviors that when combined, provide a beautiful recipe for successfully changing habits. She recommends rather than focusing our energy on removing the bad habits we should implement positive habits which will eventually drive out the bad habits. 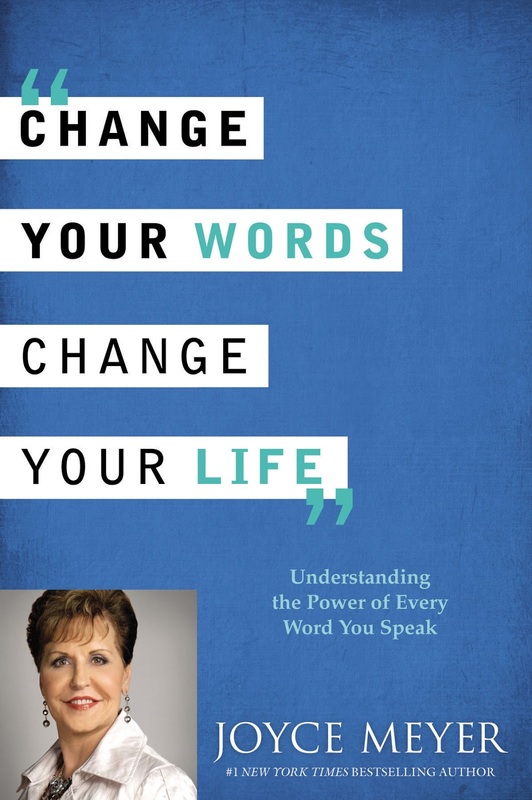 I have been a huge fan of Joyce Meyer for years and have read many of her books. She has impacted my life in immeasurable ways. I can honestly say I wouldn’t be the person I am today if it wasn’t for her. If you are struggling with some bad habits, and who isn’t, I encourage you to get Making Good Habits Breaking Bad Habits. I personally have purchased an audio copy and look forward to listening to it so I can further cement these principles in my brain. Thanks Joyce! If you can’t see the screen below CLICK HERE to watch Joyce Meyer discuss Making Good Habits.